IT’S NOT JUST AN APP OR WEBSITE. WE CRAFT PURE INNOVATION. IT WILL LET USER INTERACT WITH THEIR WORLD LIKE NEVER BEFORE. To develop a successful app, you need a smart business model, a cool UI/UX design, and an experienced mobile development team. Great! you’ve come to the right place. We are passionate, creative, and have experience in developing products as entrepreneurs. We will guide you through the process of taking your app ideas to a new level and turning them into real apps. Share your ideas with our business development team. We will take care of everything else. The enterprise is ripe with devices. Every enterprise has employees bringing their own devices. By 2017, nearly two-thirds of enterprises in the U.S. will have adopted a mobile device management strategy and mobile workflows. It’s very clear small devices and the apps they run boost worker productivity. But according to recent survey nearly one-third of all enterprise projects fail. The real reason behind this is companies can’t find skilled resources. Pixster Studio can help. 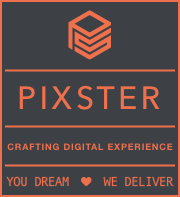 Pixster Studio is a full-service custom website and mobile application development company with an expansive set of competencies to meet your enterprise needs. We provide the most innovative web development services and have a powerful experience in creating fully-fledged, truly disruptive web solutions. We also work with numerous CMS’s, including: Joomla, WordPress and Magento. 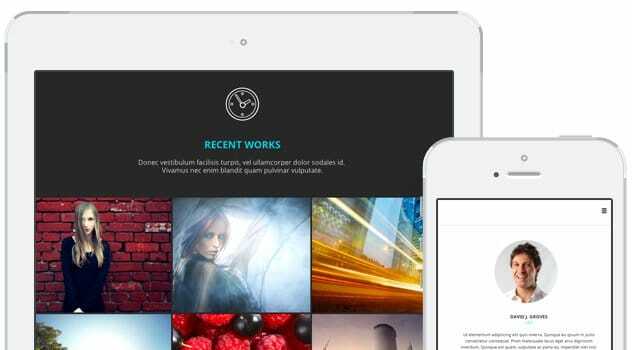 We develop websites that work and look great across every platform. This is very first step in the process of application development. We analyze data and provide you the deepest insights into undiscovered possibilities. We want to know why your idea makes sense, why it’s going to be successful. Our experts have a unique approach to critically analyze each piece of information and determine new directions, calculations and intelligence to base your business decisions on. When it comes to first impressions, it’s all about design. Great user experience (UX) design lies at the heart of great apps and websites that keep people coming back. In a crowded marketplace, the perfect design will help your product stand out. It’s the first touchpoint you’ll have with users. Development isn’t just about writing code. 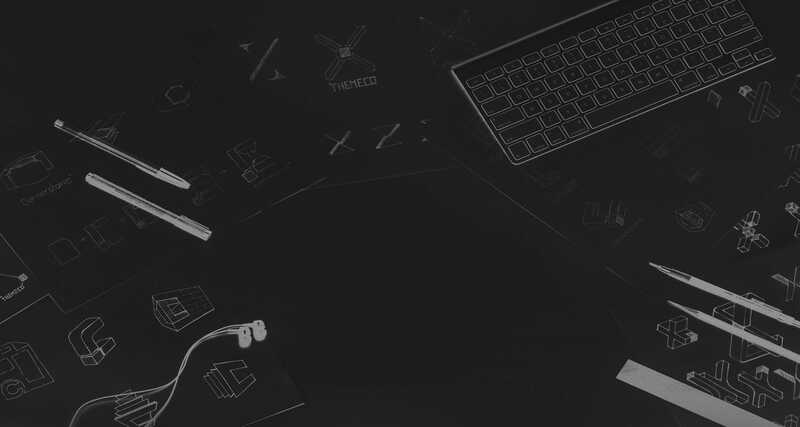 We believe the best user experiences are handcrafted, customized from the ground up. Pixster Studio team’s diverse skill set allows us to expertly tailor our services to match your exact development needs. we help our clients launch the best apps & websites possible. Launching an app or website is not so easy task. Getting your app or website live is just the only half the battle. One need strategic marketing plan to stay ahead of competition and periodic maintenance to keep you product healthy, we can help. We create the kind of apps that let people live their life in innovative ways. 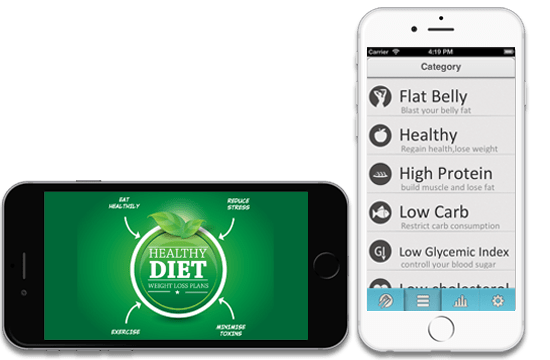 This app contains a bunch of healthy balanced and nutritious calorie controlled diet plans that help to keep your motivation alive, stay committed and lose weight fast! 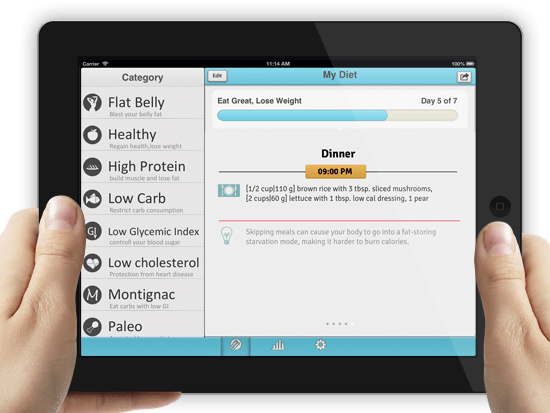 If you are looking to lose weight, maintain your weight, or simply embrace a healthy way of eating and living, this is the application you need. Weight Tracker allows you to check-in weight so you can see your improvement like how much weight you have already lost and what’s remaining in a fancy way. Self-motivate and share it with your friends. It also calculates body mass index (BMI) for you based on your physical profile. Moreover, it tells you the state of your physical profile, like if you’re underweight, normal, overweight or obese based on BMI. "Their professional Project Management System, sales support and development process is excellent. It's like an extension of my IT department."